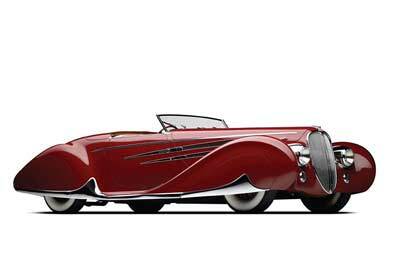 The 1939 Delahaye Type 165 Figoni et Falaschi was first displayed at the 1939 World’s Fair in New York. Only six of these 12-cylinder Type 165 models were built and this particular example, with its Figoni et Falaschi bodywork is arguably the most eye-catching. Its streamlined curves and elegant detailing ensure it looks modern, despite its 76 years. Simon Kidston started his career in the car auction department at Coys in London before co-founding Brooks (now Bonhams) Europe in Geneva In 1996. In 2006 Simon founded Kidston SA in Geneva, a consultancy specialising in Private Treaty sales of the world’s rarest and most beautiful motor cars. Simon Kidston is the nephew of 1920s aviation record breaker and Le Mans-winning Bentley Boy, Commander Glen Kidston. CoE brings together 60 of the rarest cars from around the world, many of which have never been seen before in the UK. The event may still be relatively new but it packs some of the finest classic and vintage cars enthusiasts could ever see, within some of the most distinguished and exclusive settings in the world.